Caro Short Stay offer a unique alternative to the usual hotel room. Our properties are in great city center locations, offering exceptional value for money and flexible stay options. You can choose to stay in either our former Victorian prison, the Main Bridewell, or at our brand new luxury serviced apartments at Parker Street. The Main Bridewell offers exceptional value for money, with weekday stays starting from £35! Located just off Dale Street on Cheapside, it’s right in the middle of Liverpool city center. Close to all the major attractions, including the famous Cavern Club, it’s an ideal base for exploring the best Liverpool has to offer. Being close to Castle Street and the beautiful Albert Dock means you’re also spoilt for choice when it comes to food and drink. The Main Bridewell is a great place to stay for people on a budget without compromising on comfort, cleanliness and a very warm Liverpool welcome. Once a famous Victorian prison, the Main Bridewell gives you the unique experience of sleeping in a prison cell. Read more about the special history of The Main Bridewell here! Parker Street is an exciting new complex of luxurious serviced apartments, newly opened in Spring 2018. It compromises of quality one bedroom apartments sleeping up to four people, and studio rooms sleeping up to 3 people. Parker Street is ideal for families, larger groups, longer stays and those who simply need more space. 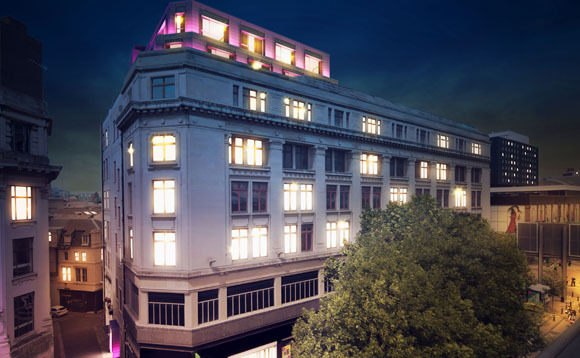 It’s central location means its only a short walk from the best Liverpool has to offer. Get to know the Ropewalks district filled with restaurants, bars and independent stores and shop up a storm in Liverpool One. Lime Street station is also less than a 5 minutes walk away. It’s clear to see why Parker Street is the perfect place to stay when exploring the city! Be sure to follow Caro Short Stay on Facebook, Instagram and Twitter for things to do and see in Liverpool plus exclusive offers!